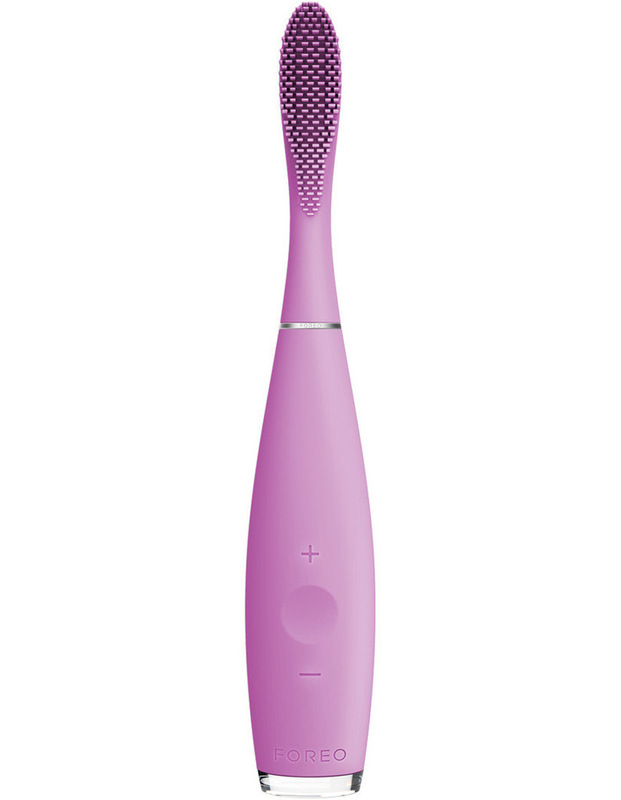 The FOREO ISSA Hybrid sonic toothbrush has a revolutionary cross-design that combines PBT polymer, for a stronger cleaning experience on the teeth, with silicone bristles that provide a gentle massage for the gums. Specifically engineered to utilize the soft gentle silicone bristles for the gum area, the ISSA Hybrid also integrates PBT polymer bristles with hygienic properties superior to standard nylon bristles on the inner segment of the brush head to cover the surface area of the teeth. This fantastic cross-design makes it suitable for people who seek stronger cleaning or have more plaque buildup due to their lifestyles or natural predispositions.